Being a leading name in the industry, we are actively engaged in offering a smart collection of Table Cover for our patrons. In order to design the offered covers, creative designers use optimum quality fabric in tune to the set industry norms.We are also design these covers in various colors and standard sizes. Cream Base Pink Printing Neelofars Table Cover, Size: 60"x90"
The entire range, we offer, is manufactured under the strict guidance of the quality experts ensuring zero defect's at buyer's end. Located in Jaipur(India), the company has gained immense prominence in the domestic market owing to its fair pricing policy and professionalism. 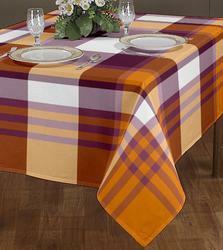 We make available, Hand Block Printed Table Runner, which is highly durable and sturdy. 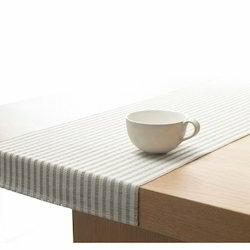 Table Cover offered can be made available by us in various styles, finish and design options to choose from.